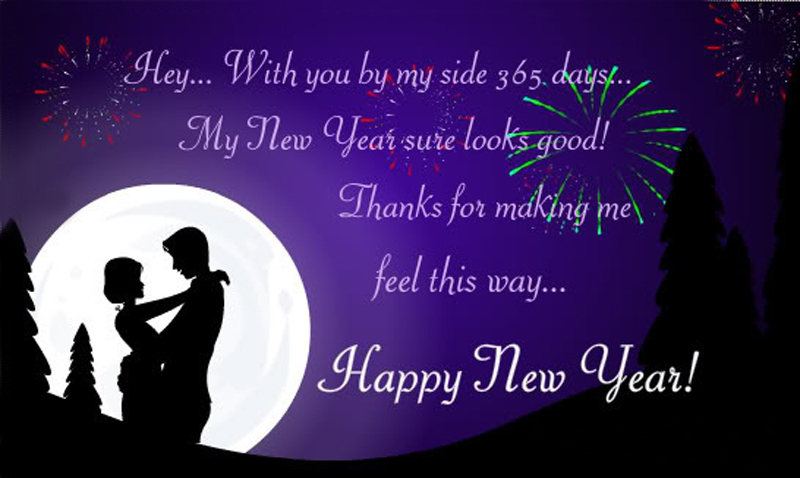 New Year Wishes For Boyfriend : New year wishes messages to wish your boyfriend in a romantic way. New year is a kind of occasion to give and share special feelings. Dear girls, your love for your boyfriend should never lose it’s spark and romance. 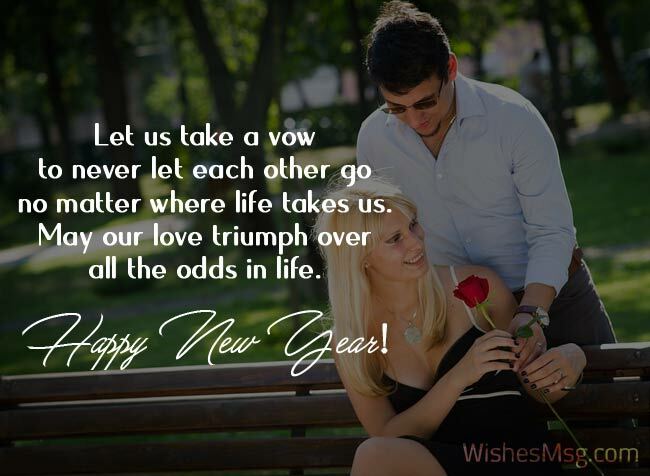 keep lightening your relationship and wish your sweetheart by most romantic new year messages for boyfriend that would melt his heart by receiving your warmth wishes during this new year. 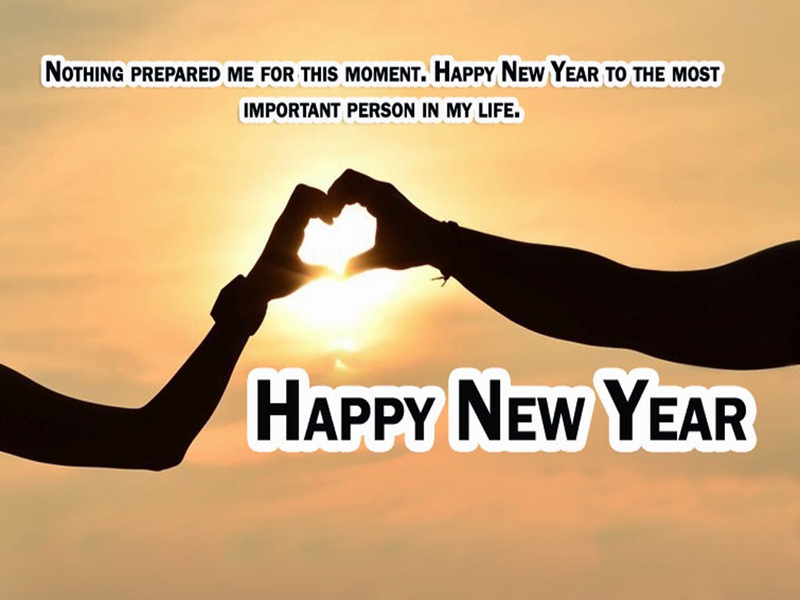 It’s our pleasure to gather a list of romantic happy new year messages for boyfriend and share with you on this occasion. Don’t forget to share a lovely messages in your Facebook wall or in Instagram caption tagging with your loving boyfriend. May your life be filled with the same happiness and pleasure that you’ve showered my life with. I love you. Happy new year! Let us take a vow to never let each other go no matter where life takes us. May our love triumph over all the odds in life. Happy new year! You have given a new life full of new hopes and ambitions. You are the one I love with all my hearts. May your life be filled with happiness in the new year! I have never known a person who is so pure and loyal. You have proved that true love does exist. Happy new year to world’s most amazing boyfriend! Its time to add one more chapter to our beautiful love story. May this love live forever in our hearts and grow stronger by each year! Let’s welcome another year full of love, caring and compassion for each other. We’ll make a lot of new memories in the new year! 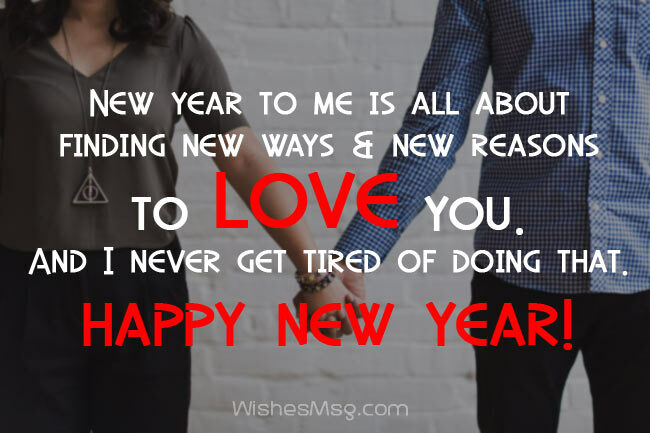 New year to me is all about finding new ways and new reasons to love you. And I never get tired of doing that. Happy new year! We’re saying goodbye to one more wonderful year of our life. But the memories we made, will always be with us forever. Happy new year! You’re the best thing that ever happened to me. And you’re the best thing that I’m taking with me into the next year. Happy new year! I had so many dreams to fulfill but you were the biggest of them. Now that I have you in my life, I don’t want anything more. Happy new year! I would do anything to make you happy. I love every inch of you and I will never let you go. Happy New Year! The Lord blessed us with each other, I could not be any more thankful. May this year bring us success and good health. I love you. I am wishing that we will always have each other’s back no matter what this year might bring us. We are stronger than any obstacles. I love you and happy New Year! Lover boy, only you can make me feel the way you do. I’m happy to be yours in up coming 365 days! Happy new year! The bigger wish I have to receive the new year is hug you strongly and feel that our love will be forever. Happy year for you my life. You have been the best boyfriend ever since I met you. This year, I will try my best to be the best girlfriend for you. Happy new year my love! God has united our roads and you and I will do all that we can to make our love lasts forever. This year will be very beautiful and happy for both of us. Live To Lie Down In Your arms and Listen to Your Heart beats, it Makes me Feel That there Is Someone in This World, Whose heart Beats Only For Me, I Just Can’t Stop Loving You, Wish you a Very Happy New Year! This New Year I want you to know that I have prayed for your life to be filled with the same happiness and pleasure that your presence brings into my life. This New Year let us share our dreams and make our lives blissful for it can be nothing short of that when I start the year with the man of my dreams by my side. I realized that each year our love becomes bigger. I wish that we could have a happy year to live our love. New Year means another set of million kisses for us to share! I am so excited! Happy New Year! You have given me nothing but love and support and I wish I will be able to give you that, too. That is my new year’s resolution. Happy New Year! I wish the fire of passion within us is set ablaze to the fullest to make the New Year a rocking one. Happy new year sweetheart! My only wish this New Year is that may our love grow in leaps and bounds and never face any hindrance. My love I wish with my entire heart that you have a new year full of much happiness, you will see that all of our plans will come true. I love you and I will show you my love every day. Your sight heals my wounds, your smile cures my ailments, your touch rejuvenates my spirits – and that’s all I need to face the New Year head on. Happy New Year to the person who has accepted me for who I am and worked hard to bring out the best in me. Thank you for the inspiration. You will always be my love not just this New Year but the more years that will come. Keep the smile, Leave the tear. Hold the laugh,Leave the pain. Think of joy,Forget the fear. Be joyous, coz It’s new year! At midnight I will ask a very special desire, being with you the 365 days of the year to live our love. have a happy year mi life. Seasons change; years come and go but my love for you never stops to grow. 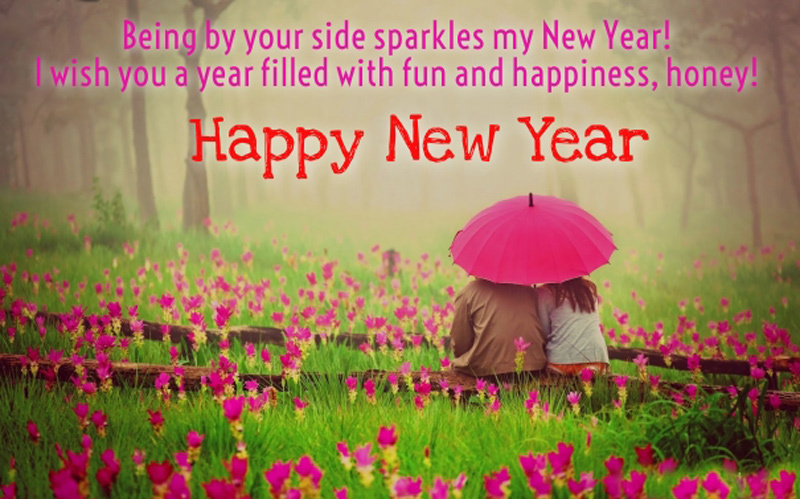 For your love has made my life bright and I love to celebrate New Year With my man on my side. I’m very grateful with God first, for having bring you to this world and second, for having bring your love to my life. This year will be wonderful to live our love. You fulfilled all my New Year’s wishes! My only wish this year is that, we will be able to overcome all hindrances that may come our way. Happy New Year! There is very little I can ask from God this New Year as He was kind enough to have sent me the best possible gift already – You! Wishing you another 12 month of Happiness, Wealth, Health, Hope, Opportunities, Love, Joy Cheerfulness and all the Warms wishes of Life, Happy New Year! New Year gives us a chance to renew our love for each other. We may have been through a lot during the past year, but still we remained together. I hope that this year, we will live each day one day at a time with less worry but with so much happiness. Happy New Year! 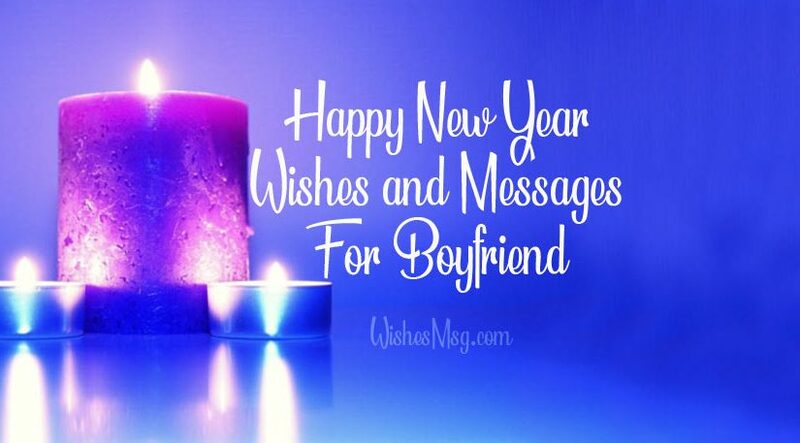 Dear, make your boyfriend happy by sharing these most romantic new year messages for boyfriend and these messages has a power to show your loving affection, true love feelings and your care to him.